TNEPDS: The government of TamilNadu has been launched a New Smart Card to replace the old ration card which is done through Online and the link is www.tnpds.gov.in. 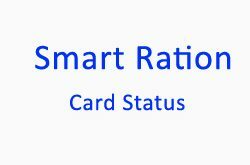 Now you can easily Link Your Aadhar card to Smart Ration Card through mobile. Firstly go to your play store and Download TNEPDS Mobile App on your mobiles. Enter your registered Tnpds mobile number and then choose your language and again enter your registered Tnpds mobile number and then press the submit button which at the bottom. And now you will get an OTP (i.e., One Time Password) to your mobile number. If your number is already registered then Home Page of TNPEDS App will be displayed. If not, the registration page will be opened and enter all the details required with your ration card and then add your Aadhar Card information and scan it. Your Tnepds App automatically opens the camera and collect your Aadhar Card information. After scanning your Aadhar card click on the submit button. Now you are registered successfully Tnpeds App and you can log in with your mobile number which is given in registration and again you will get an OTP. Submit that OTP Code and then Your TNEPDS APP home page will be displayed. And Now Select Aadhar Capturing Option and add your family members Aadhar card numbers. You can add it by using scan your Aadhar QR code option and submit it. Now your Aadhar Card is linked to Smart Ration Card by the TNEPDS Mobile App.